On Saturday, September 23, people who love great, home grown art festivals will make their way to the house of Rachel and Michael Davis to browse and (hopefully buy) a wide variety of artisan handmade items, amny of which are one of a kind pieces. 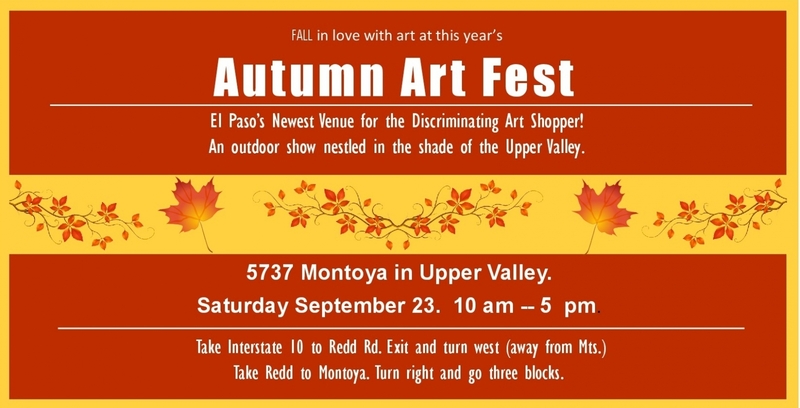 The Autumn Art Fest will be held on a large, tree shaded lawn during the prettiest time of the year in the Texas / New Mexico borderlands area. To be able to take part in the festival was by invitation only and eighteen artists accepted. So you know the quality of the handmade pieces for sale is extraordinary.